We are delighted to announce that the Department will be holding a conference on the Milton Keynes campus next year. Here are the details. 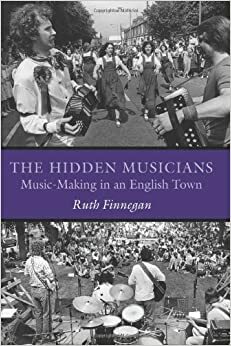 Open University Professor Ruth Finnegan’s 1989 book The Hidden Musicians: Music-Making in an English Town has been recognised as a landmark in the study of music and culture, a central concern in Open University Music research. In the preface to the 2007 edition, Finnegan identifies a number of new directions which have opened up since the time of her original study due to methodological and technological advances in the study of music. Her investigation of music-making in Milton Keynes (where the OU is based) focussed on amateur musicians, but there are numerous examples of professional musicians who remain ‘hidden’, perhaps because of biases related to gender, class, race and ethnicity, or owing to trends within musicology. The conference takes these new directions – and the idea of ‘hidden musicians’ more generally – as starting points, and welcomes proposals for individual conference papers and panels. We are open to discussion of all musical styles and contexts – Western and non-Western, historical and contemporary. Selected papers from the conference will be expanded and published in an edited volume. Professor Finnegan and Professor Derek Scott, University of Leeds, will address the conference. The conference will take place at the Open University’s campus in Milton Keynes, UK. The recommended accommodation option will be the nearby Kents Hill Park Training and Conference Centre, where there will be a conference dinner on the evening of 11th January. Proposals in the form of abstracts of 200-300 words should be sent to hidden-musicians@open.ac.uk by Monday 14th September 2015. Proposals for panel sessions should include a brief rationale as well as an abstract for each paper. Decisions will be notified during September. This all rings a bell or two for the women of the 20’s-50’s wh0 taught the next gen!